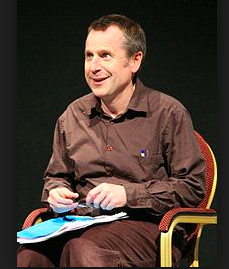 I only twice set eyes on Jeremy Hardy. When the Birmingham Six were released he was the MC at the London Concert celebrating their release and his wit amazed me. There was nothing showy about it, no prepared gags, blue jokes nor gimmicks, but spontaneous intelligence. The next time I saw him was at a Mass for the murdered Solicitor Rosemary Nelson. All the Queen’s Horses all the Queen’s Men have been unable or unwilling to apprehend or charge anyone with her killing, the twentieth anniversary of which falls next month. I don’t think that Mass was recorded in THE TIMES nor the congregation listed. But it would not amaze me if, in the files of a State which has thousands of Buggers in GCHQ and seven hundred extra MI5 operatives recently deployed In Belfast, the congregation is listed. You may be sure that Hardy was not at the Mass to get his name in THE TIMES, nor to get Brownie Points inHeaven. I don’t think getting Rich, Famous, and a comfortable seat amongst the Elect featured in his agenda. But he was dedicated to fair play and showed solidarity with those who were denied it, irrespective of who they were, where they were, and he did so without fanfare. I learn from his Obituary in THE TIMES, that he re-mortgaged his house to go bail for Roisin McAliskey when she was imprisoned on a trumped-up charge of terrorism. And I can’t help contrasting his humanity with that of the entertainer Ann Widdecombe of “Strictly Come Dancing” notoriety. Widdecombe, as Home Secretary, was responsible for manacling Roisin McAliskey to her bed during childbirth. Unlike Widdecombe, Hardy didn’t claim to be a religious believer.